Soft deco cushion with reversible sequin pattern. The pattern changes with the swipe of your hand. 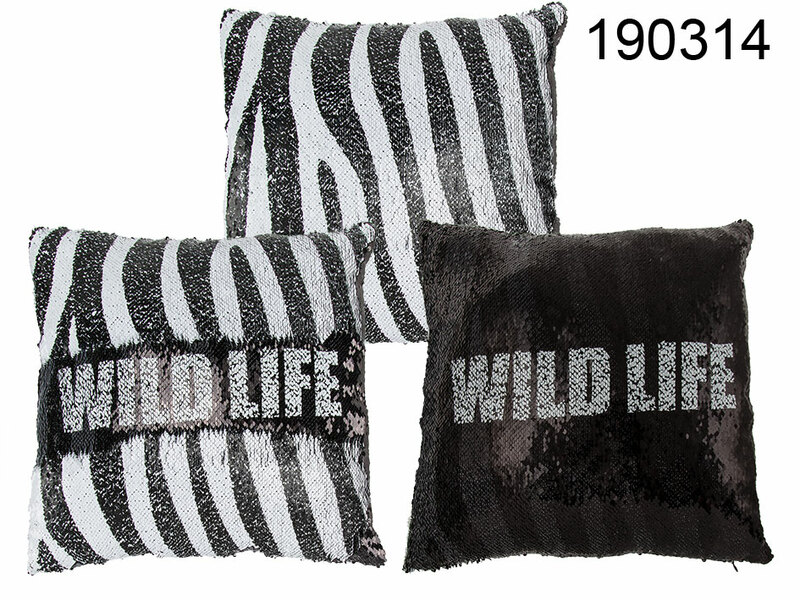 The cushion reads "Wild Life" and is either black or with zebra pattern. The cover is zippered hence it is easy to remove it and wash it without washing the whole cushion. Perfect for beds and sofas. Modern decoration for every space. Great gift idea for someone close to your heart.